A Record-Breaking 100% Success Rate in 2019! Work with the best in the world and activate advanced online marketing strategies along with the latest search engine optimization methods that will increase your online visibility and attract new patients. 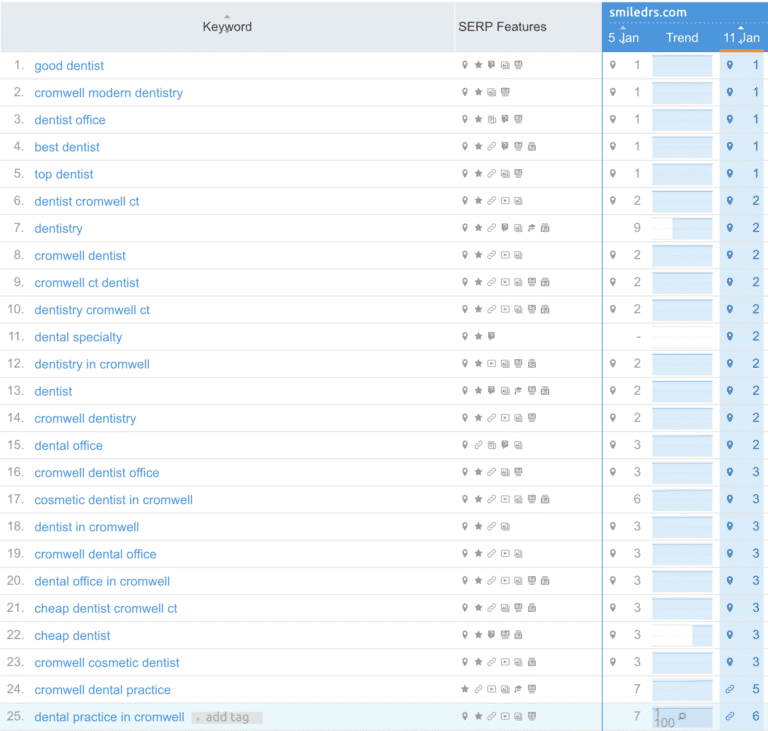 Take a look at some examples of our SEO work for dentists and physicians during the last few months alone. O360 has the largest portfolio of page one rankings with over 1023 keywords currently on the top 3 spots on Google alone. 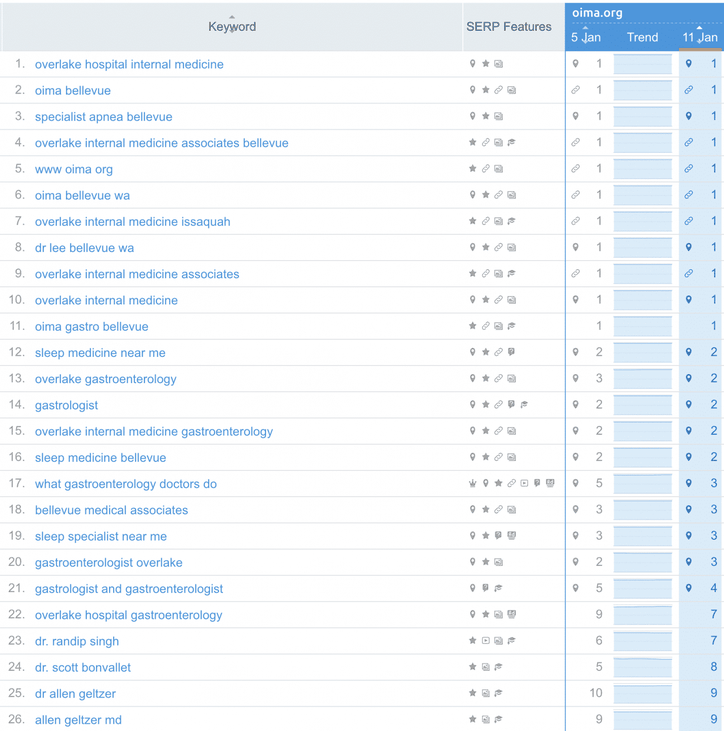 Join other successful doctors on the top of Google’s search result pages. Contact us today. New Patient Exposure that Costs Less Than $20/Visit! LIKE TO TEST THE RESULTS? Simply adjust your location by selecting the zip code of the website/practice you are testing and search for the keywords. All optimizations are geo targeted for best conversion. The reason digital marketing is justified is simple. Google offers to show you who is interested in your services for amounts that is below $10-$15. That is a bargain. Besides, we can get that price down to 1/2 of that in many areas. And that explains why hiring a firm like us is a great idea. 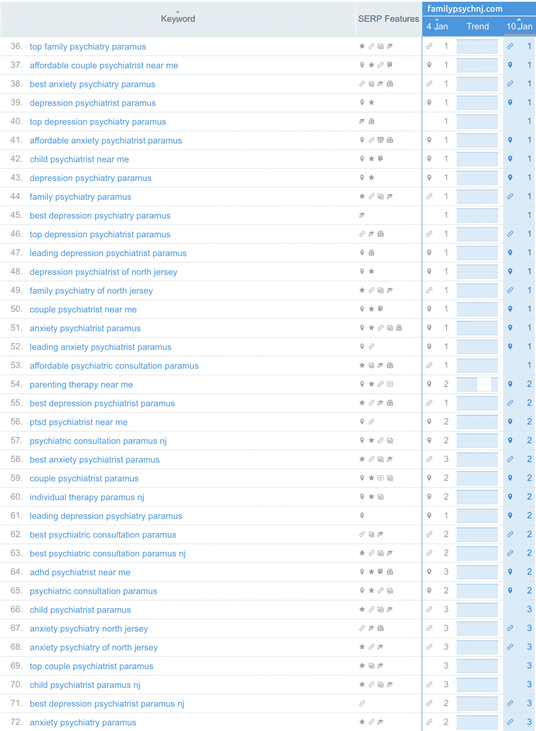 We bring you interested patients from any of these sources. Go to the top of the search engines by investing in knowledge and rich content that your visitors are searching for. 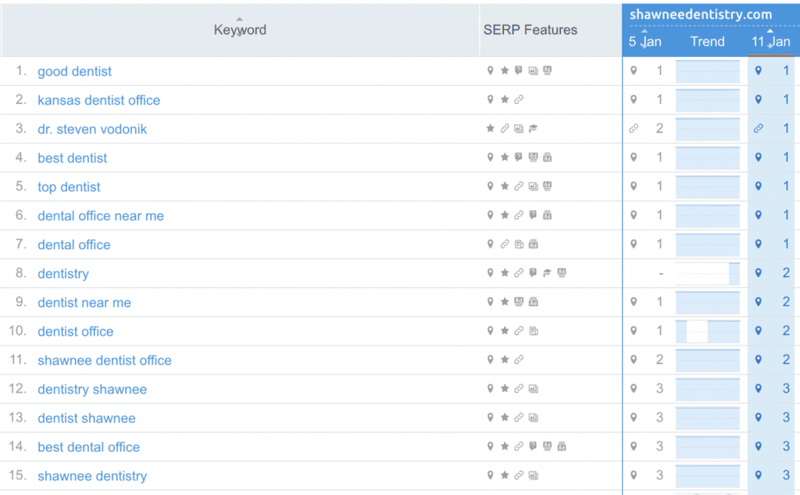 Get on the first page of search results in just 7 days! Pay only for those are are interested in your service. Get low-cost exposure across social media. FaceBook and Instagram are great branding and marketing tools. Ask us about our open-book policy that offers 100% transparency and access to your actual, live campaign data. To us, marketing for your practice is a partnership and there is nothing to hide. The ultimate goal is to make your site more accessible to people and encourage engagement. We work to make your visitors happy. 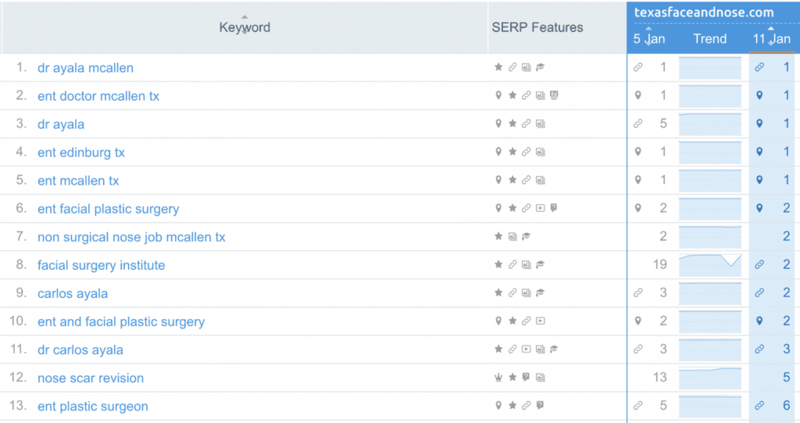 Below is a list of known technical SEO tactics we employ. The goal of the off-site SEO is to build reputation and authority for your website online inviting links and references from others to you. This is a list of top known techniques. We have a few that are not well-known but are very effective. The goal is to get you the maximum number of patients for the lowest investment possible. What we can do to achieve that goal is included. Working with thousands of practices like yours is a great asset. This is an open-book program and simply month-to-month. So many doctors have given up on online marketing because they have spent a lot of their hard-earned money directly or through an agency without getting results. The number one reason? They have not been able control the cost and stay away from the brutal constant bidding wars. We pay the same per prospect fee that we paid five years ago and that is unheard of. We offer an open book package. You can see how we handle your money dollar by dollar, and the moment you don’t see the value, you are free to move on. But you won’t, because we will make sure you see an ROI that makes you smile. Even though our product is #1, our clients are the ones that come first. We have proven that we care about you by earning the highest number of four and five-star reviews on Google in our industry. Ranked #1 in the World. We can help you improve your ranking better than anyone. And there is a good reason for that. 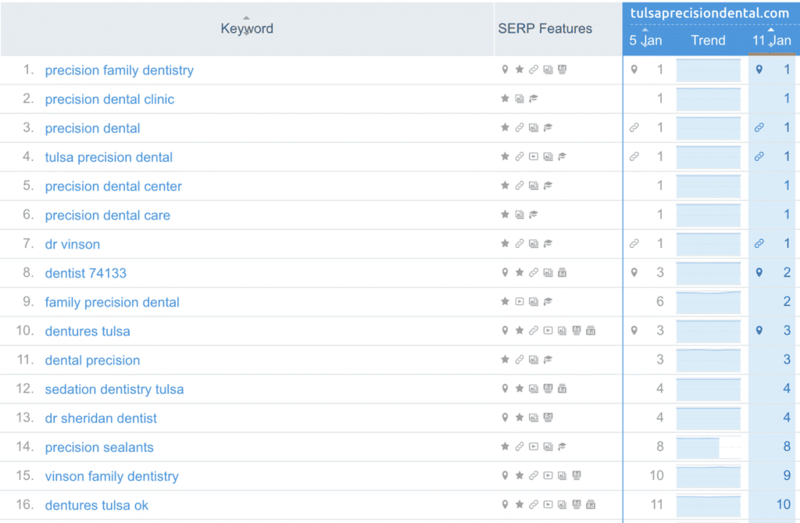 Optimized360 is ranked NUMBER ONE for more dental & medical keywords than all of our top 10 Healthcare Marketing companies combined! There is no other company in the industry that can claim superior SEO knowledge in comparison to O360. If they could, they would be #1. Most of our clients start seeing movement in just three months. We do not want to over-promise, but, even the first few techniques that we implement can give your website a push for a higher rank in just a couple of weeks. We perform a rigorous audit of your market space, learning about your practice, the clientele and your competition. Then the focus is turned on keyword research, landing page analysis, website readiness and other relevant items. Planning is the most crucial step in determining success in SEO and PPC campaigns. Nothing should be missed, we guard your investment as if it is our own. Every dollar that is spent must make a difference. A great plan requires a meticulous execution and that is what we specialize in. We look at every aspect of the campaign to ensure a flawless implementation of the ideas. Both your PPC and SEO campaigns will be rigorously monitored and continuously optimized keeping up-to-date with the need of the website and algorithm updates by the search engines. Not only you will have direct access to your account statistics, but we also provide monthly reports, a visual, live dashboard and on-demand monthly phone consultations. 2019 Has Already Been a Record Breaking Year! 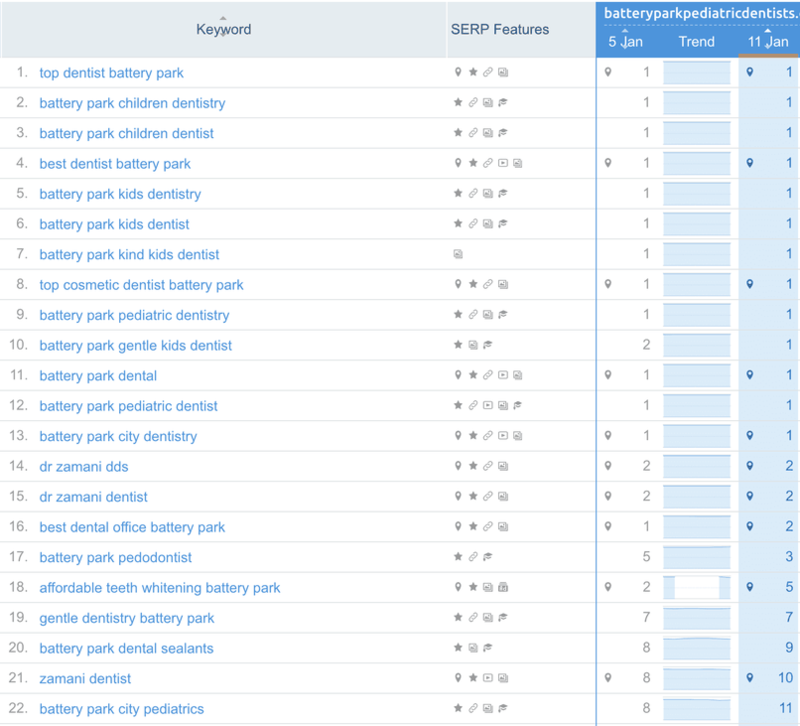 Our SEO Clients Are Now on The 1st Page of Google for at Least Two Specialty Keywords! 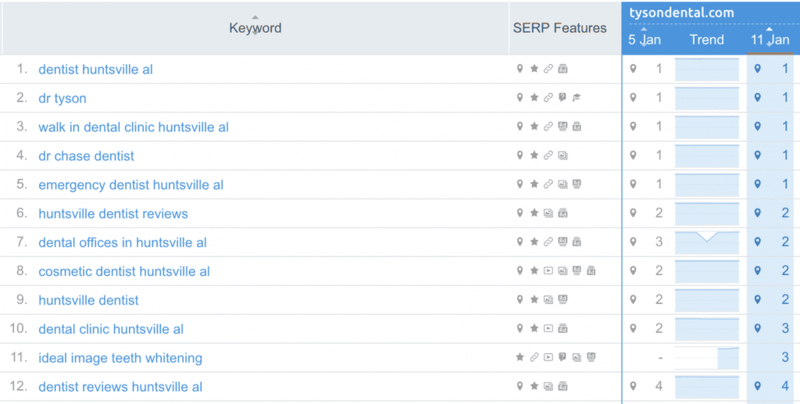 Many dominate the first page for multiple competitive keywords. What is the 0360's role? Most online marketing campaigns fail because the ROI is just not good enough. The main reason for that is the lack of experience combines with the complexity of the online ads platforms. One can spend a lot on Google, Facebook and other search engines paying for visitors to his/her website who are not prospective patients. No one I know clicks on the ads. Why pay for them? That is an interesting statement. Isn’t it? Yet we hear it often. If no one clicks on the ads, what is the concern then. Google charges based on the number of visitors, if no one clicks on the ads, you will just get great exposure without paying for it. But, people do click on the ads. As a matter of fact over 30% of them do. That is why Google makes over 100 billion dollar a year. You want to pay for the ads because it is the least expensive way of finding patinet who are interested in your service. Our role is to make sure your investment is not wasted on meaningless list of to-dos from gurus who simply sell the services they recommend. For your website to get high ranking, it needs to be useful to patients and offer value. It also needs to build a great reputation online. As the #1 healthcare SEO company in the world, O360 is in a unique position to help you achieve those goals which translated to higher ranking for popular and relevant keywords. How do I know you guys actually do anything? By simply looking at the results. We are the only SEO company in the industry that offers a live, third-party dashboard that shows the result of our work day by day. While there will be fluctuation in the movements of the keywords, the overall improvement will be visible after a couple of months. WHAT’S THE DIFFERENCE? HOW DOES IT RELATE? Why Our PPC Management Program Works? Google Partner Certification (which we have gained for all the members of our marketing team), ensures that companies that run client’s Adwords accounts have the expertise in these areas. Below are a few examples of the use of that experience helping our doctors improve the return on their investment. PPC marketing includes a set payment for each visitor that views your website. Therefore, the goal of the program should be paying only for visitors that have a potential of becoming your patient. The setup of Google Adwords campaign involves more than 300 settings. One or two mistakes in this process could cost you thousands of dollars in waste. For example, you could be paying for a visitor that is not in your area. In other words, there is no chance of that person becoming a patient of your practice. Another example is when you pay for a visitor who is looking for a job, not a physician. Filtering these unwanted visitors are the most complicated part of PPC management. And, that is where most newcomers fail. Google’s goal has always been to improve the user experience. When it comes to online ads, that means delivering ads that are relevant to the user’s search intent. 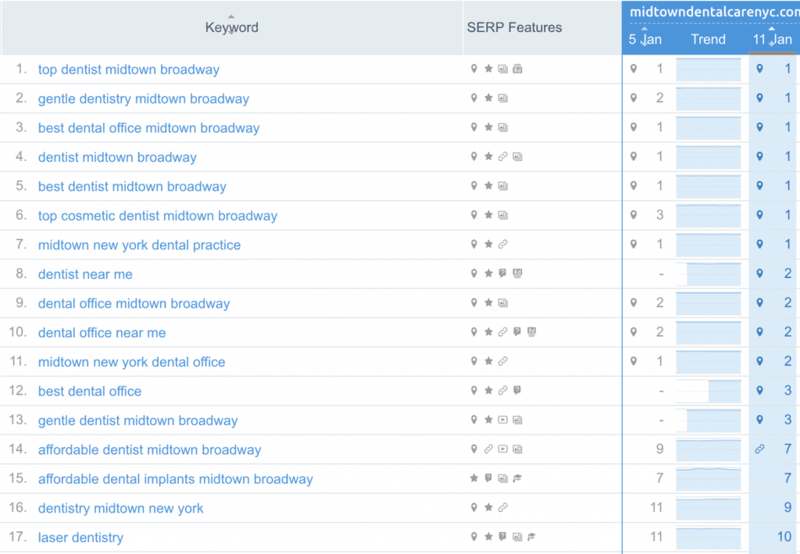 To encourage advertisers to create quality ads, Google has implemented a keyword quality score. The higher your score, the lower the amount you pay per visitor. Optimized360 specializes in getting the highest quality scores possible for your keywords which translate into a discounted rate for your advertisement. This is another, very important factor that justifies the use of our experts. Patients who live just a few blocks from your practice have a higher chance of becoming a patient than someone who lives 5 miles away. Therefore, it is important to design the campaign in a way that you pay less for visitors to your website from areas far from you. Smart geotargeting ensures that. Another measuring tool Google uses in ranking ads is called a click-through rate. That rate is the percentage of people who click on your ads comparing to others. The higher that number the higher your rank will be. Years of experience in online marketing and access to data from millions of ad impressions and thousands of clicks allow us to write ads that have the highest click-through rates. That gives you more exposure and saves you money. Marketing builds interest. But the moment the visitor is on your website, the job of marketing is completed, and the process of sales begins. The ultimate goal of marketing is sales. So, it is vital to understand how a landing page and a website should be designed to ensure maximum conversion of visitors to patients of record. Custom website design is what we do. A lot of marketing companies keep clients in the dark. There is an obvious reason for that! We, on the other hand, show complete transparency. Our fees are very clear and only for managing your account. Your per-click cost is charged directly by Google, and you will have 24/7 access to your account to see all the details of impression, clicks, cost, etc. Last, but certainly not least is the importance of understanding the intricacies of marketing versus product marketing. We know the procedures, patient concerns and what works. We have done it for thousands of other doctors and can do it for you. There are hundreds of other factors we consider to make sure online marketing works for your practice. We back up our claim by not charging setup fees and not requiring contracts. We remove the consideration of risk from your decision. Call us today to start attracting new patients via PPC. Paid advertising has long been the fastest way to generate traffic and interest in a business, but the Internet is no place to attempt PPC advertising alone. In the right hands a paid marketing campaign can return a tremendous gain on your investment. In the hands of a novice, however it can prove very costly. When you trust us with your PPC campaign, you can expect to see your business advertised on the very first page of Google search results within just 3 business days. You pay nothing to make your ad visible to the public – only for the users who take interest and click through your ad to your website. This instantly increases your visibility, even to those who do not click on your ad. As an added bonus, you only pay to advertise to users who are most likely to convert to customers – something that cannot be said for traditional media ads. WHAT IS ONLINE MARKETING? WATCH AND LEARN. Time to give online marketing another go. If you have done online marketing or SEO and have not been successful, let us show you why skilled marketers make money with both PPC and SEO every single day. If this is a new campaign, this could be the online one you need. Don’t miss the chance of dominating your area online. As a dentist, you work with patients within a specific area. Even if you have multiple practice locations, the vast majority of your patients probably come from a specific region or practice radius. Why waste your marketing efforts on covering a broad audience when you could be doubling down on the people in your local market? 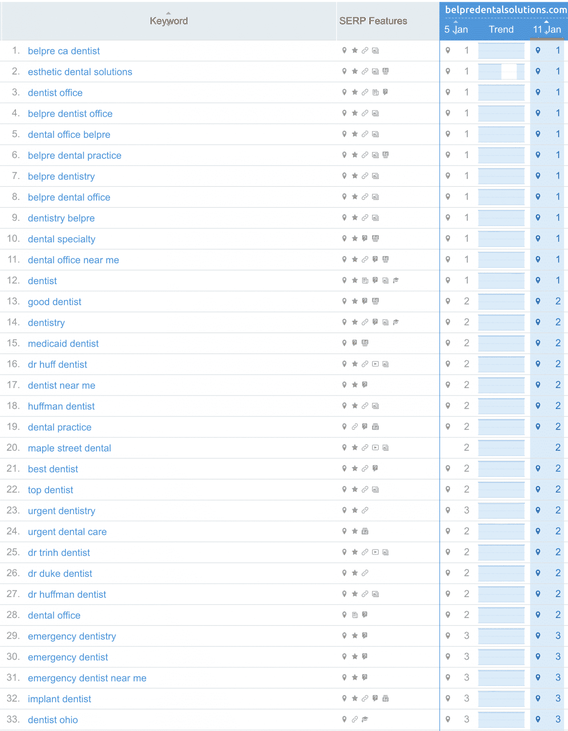 Here at Optimized360, we help dentist like you compete by optimizing your local listings within the Google platform. When someone searches for a pediatric dentist in your city, we want your name to soar to the top of Google’s local results if you work within that specialty. Our team has a comprehensive understanding of how Google Maps, Google Local Listings, and Google Plus work together to help – or hurt – your visibility to potential patients. We can help set-up your practice for success both now and in the years to come. Word of mouth has always been the most powerful form of advertisement. Today, online reviews make it easier than ever to find out the opinions of others. More and more people are looking to the Internet for recommendations and suggestions before making important consumer decisions. This is especially true when it comes to major choices, such as choosing a new family dentist or looking for someone who is experiences in dental implantology. 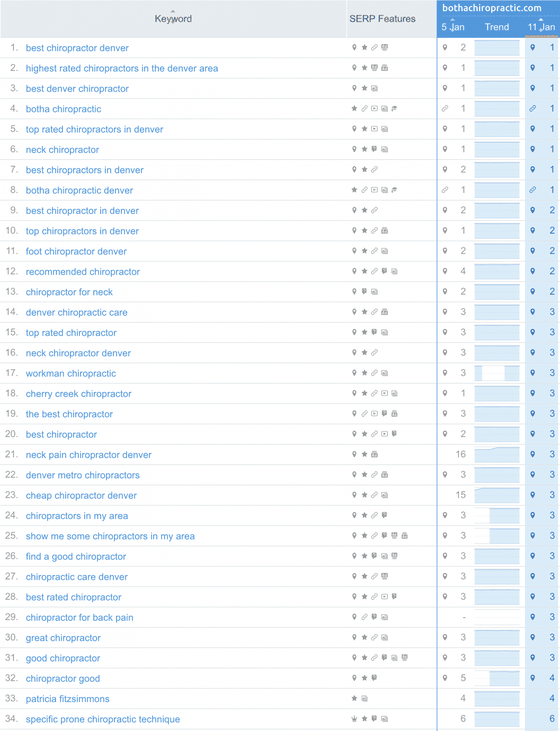 What are people saying about your practice online? There are entire websites created specifically to give consumers and patients a voice on the Internet. Sites like Google Plus and Yelp offer a speaking platform for consumers and patients who want to share their experiences – good or bad. It’s up to you to decide if you want to be part of that conversation. What happens when a disgruntled patient shares a bad experience? Thousands of people might see it, and it could remain on the Internet for years to come. One person’s experience has the power to dissuade countless potential patients from visiting your office. 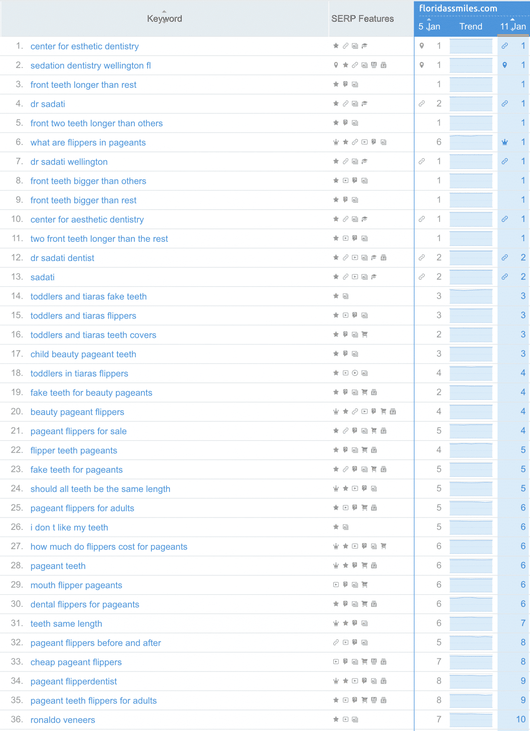 Multiple bad reviews might even destroy and dentist’s online reputation altogether. So what can you do about it? While online review sites are generally objective and unlikely to remove disparaging comments about your practice, there are other options. Here at Optimized360, we pride ourselves on our innovative thinking and creative solutions. 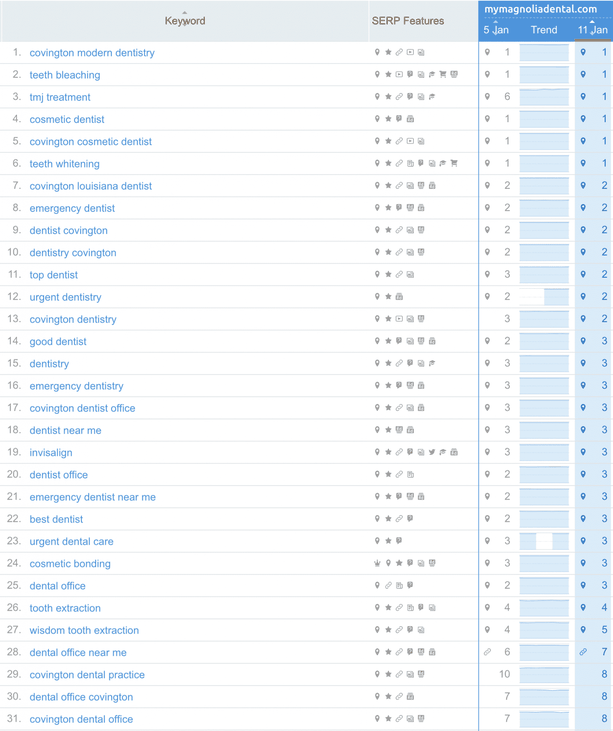 We have created a competing online review platform that provides you – the dentist – control over your own online reviews. We have assisted multiple medical professionals in regain control of their online reputation through high-ranking, managed reviews that appear on the first page of Google search results. Contact our office for information or to see examples of physicians and dentists who have already taken advantage of this exciting technology.